Toyota cars are very popular. This is no big surprise for anyone who knows their automobile brands. Toyota has a strong reputation for manufacturing incredibly reliable cars, and that is why they are such best sellers in the automotive industry. Furthermore, when a Toyota vehicle finally reaches the end of its life, we will pay very generously for it, and provide free Toyota removal as well. Sell your old Toyota car, truck, van, 4×4 or SUV to Wreck Monster. We will pay top cash for Toyota cars and other unwanted vehicles and free auto removals anywhere in Sydney, NSW. We pay up to $15000 cash for cars, Toyota trucks & SUV’s. Our crew buy all major brands including Toyota Fortuner, Corolla, Land Cruiser, Estima, Belta, Granvia, Yaris, Aurion, Rav4, Echo, Celice, FJ Cruiser, Supra, Paseo, Previa, Camry, Avalon, Venza, Hiace, Dyna, Innova, Yaris, Highlander and much more. Check out the full list of Toyota vehicles that we can buy for the best price. We here at Wreck Monster take immense pride in being Sydney’s number one Toyota Wreckers. How did we make our way to the number one spot? One important piece to the puzzle of our success is the fact that we buy all Toyota’s, regardless of what condition they are in. This means that your Toyota could be a complete wreck. It could be almost entirely rusted out. It may have been in a serious flood and has taken on major damage. However, it doesn’t matter, as we will buy it regardless. Why is this? The fact of the matter is that no matter how badly damaged a vehicle is, it will have parts or materials that can be re-used and recycled. When we pay cash for Toyota cars, we dismantle them and salvage any and all parts and materials for future re-sale. So don’t worry about the condition your Toyota is in. If your Toyota is in such bad condition that it is in no shape to be driven anywhere, you may be concerned about how much the removal fee will cost you. This is a worry that you can now let go of. We here at Wreck Monster invite you to get your Toyota removed for free anywhere in Sydney – we can visit you and pay you cash on the spot instead. This service is for all the good folks of Sydney. No matter where you live in Sydney, you can enjoy our fast service and top cash. If you want to know where our major servicing regions are, here is a quick list: Richmond, Ultimo, Liverpool, Greenacre, Campbelltown, Blacktown, Baulkham Hills, Parramatta and Penrith etc. If you live out of these regions, confirm your location with us. For all the loving customers – if you are planning to get the same day auto removals then please verify your location with us because in 20% of cases, it is a bit hard to offer the same day removal service if you are living in rural regions for an example. We don’t only offer the best service in Toyota removal. We also have a giant inventory of Toyota parts. They are extremely high quality, and affordable as well. And you can easily gain access to Sydney’s biggest second hand Toyota auto parts inventory. These parts aren’t just high quality and totally affordable, they are fully tested Toyota auto spare parts. You don’t live in Sydney, but you are still keen on taking advantage of our amazing offer of cheap and high quality used parts? Because we can send it via courier. Deliver charged would be extra. Buy cheap used Toyota parts in Sydney and make your vehicle maintenance costs low. We will provide updates on all the parts we have as well. You will be keeping your finger on the pulse of Sydney’s number one auto parts suppliers. 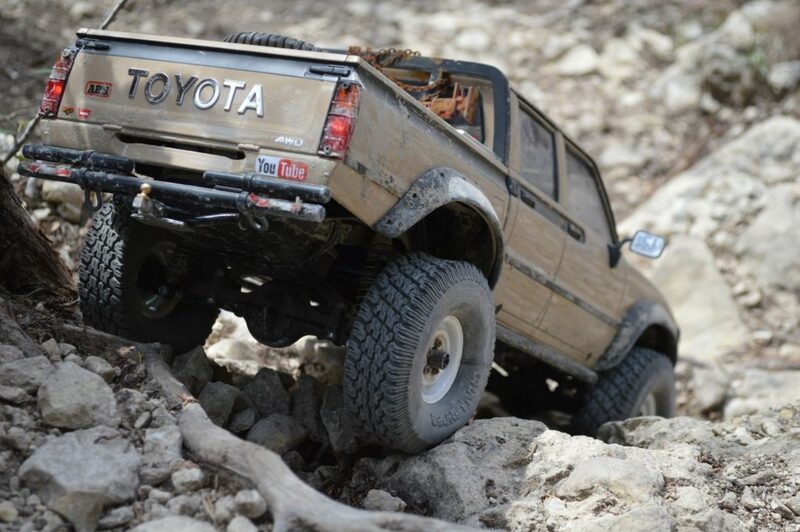 How to contact Toyota Hilux Wreckers in Sydney? So, you want to sell your Toyota Hilux or other 4×4’s to us? You won’t regret it. Get the ball rolling once and for all, by contacting us via one of two different methods? One involves using the phone, by calling 0478 682 103 . Or you can fill out the quick and easy form that we have positioned prominently on our website. Tell us the age and condition of your Toyota vehicle and one of the crew members will get back to you with the quote to your Toyota vehicle within 24 hours or sooner. Get an instant offer for any Toyota model today. If you are worried about how much of an impact your Toyota Hilux will have on the environment when it is dealt with by Toyota dismantling, disposal and recycling experts such as ourselves, there is good news. We are fully licensed experts with the kind of knowledge and no-how to make sure that ninety-five percent of the vehicle in question is taken care of properly. This means recycling. When metal is recycled, there is less demand for steel that has been freshly mined from the ground. Recycling uses less energy resources than mining does. The use of energy resources creates pollution and large amounts of carbon dioxide, the main culprit in the climate change phenomenon. What’s more, there are toxic substances in your average car. This includes battery acid, all the different fluids and chemical compounds held in all the plastic components. The professionals at Wreck Monster car scrappers will be able to either recycle those substances or properly dispose of them so they will pose no risk of harm to the plant and wild-life of Sydney. If you have an old Japanese car that needs selling, stop procrastinating now and you will sooner be able to use the space that the car is currently taking up. Not only that, but the vehicle will only get less valuable as time goes on. So call us up today! We propose the fastest way to sell your Toyota for the best cash possible.